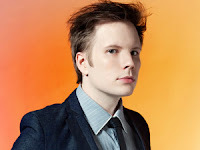 For anyone else, embarking on a European tour with only one EP under your belt would be considered anything other than suicidal, but for former/current/who knows Fall Out Boy front man, Patrick Stump it was never going to be anything other than a success. There’s a certain sense of anticipation in the air, and Monto Water Rats has been full for the best part of an hour, as soon as Patrick and his band hit the stage, the place erupts as they launch into a medley of songs that culminate to a performance of 'Truant Wave' opener ‘Porcelain’ which sets the pace and tone for the entire set brilliantly. With only six released songs under his belt, it was impressive that the set lasted well over an hour, and managed to maintain the vast majority of the crowds interest, with new songs being performed as well as a couple of covers, including Kanye West’s ‘All Of The Lights’ and the soul classic ‘Me and Mrs Jones’ the latter of which showed off Patrick Stump’s voice incredibly. Naturally the biggest reaction of the night, apart from for Stump himself was for ‘Spotlight (Oh Nostalgia)’ it was one of those moments that make you glad to be there. It was clear from the start that Patrick Stump loves playing this music, his energy and personality on stage were a joy to watch, and not to forget his band (including ex-Taking Back Sunday bassist Matt Rubano) looked as if they were having the time of their life too, all in all this was a great, well put together intimate show that left fans leaving the venue with massive smiles on their faces.